2. 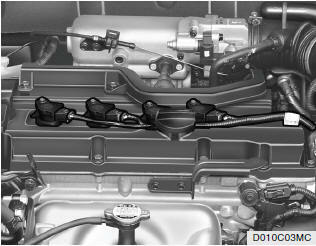 With the key in the "OFF" position, check all connectors at ignition coil and spark plugs. Reconnect any that may be disconnected or loose. 3. Check the fuel line in the engine room. 4. If the engine still refuses to start, call a Hyundai dealer or seek other qualified assistance.